While hair loss during chemotherapy is often unavoidable, permanent hair loss after treatment should be rare. Sadly, one of the most common breast cancer chemotherapy drugs, Taxotere, is also the only drug that causes permanent hair loss. Alternatives, like Taxol, have been just as effective, and don’t cause permanent alopecia. For over 10 years, the manufacturer of Taxotere was well aware of the side effects, but failed to warn U.S. consumers. Many women are taking action against this blatant injustice by filing for financial settlement. Doctors prescribe Taxotere to 75% of breast cancer patients. 6-15% of those women will experience this difficult permanent side effect. If you are one of these patients, you may be entitled to financial settlement. The manufacturer of Taxotere, Sanofi-Aventis, warned European consumers of permanent alopecia as early as 2005. Unfortunately, the same warning was not provided in the U.S. until the end of December of 2015. Now that the warning is public, survivors have a limited window to pursue financial settlement. This video gives a history on Taxotere and the failure to warn about permanent hair loss. Watch the video to learn more now. In this video, learn about Abilify’s link to compulsive gambling with the latest facts, warnings, and news. Get a free case review to see if you qualify for compensation or call us at 1-877-466-2000 now. 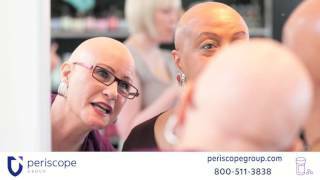 Get facts behind Taxotere, it’s maker, and this blatant injustice, and learn how the most commonly-prescribed chemo for breast cancer can cause permanent alopecia. Watch this video to learn the who, what, when, and where of Taxotere. With any medical drug or device it is always better to know too much than be left in the dark without any information. Video: Do you have a claim from taking Taxotere? It’s not your fault that you weren’t told about the adverse effects from taking Taxotere. We’re here to help. Video: Where did Taxotere go wrong? Taxotere is one of the most common chemotherapy drugs for breast cancer patients made by Sanofi Aventis, but here is what they knew and when they knew it. Permanent hair loss in breast cancer survivors should be rare. Learn about the major adverse effects with Taxotere and what you could take instead. Video: How does Taxotere work? Watch this video to learn about what Taxotere is and how it is supposed work in the body. Who makes Taxotere? Is it more effective than Taxol? This video answers all those questions and more on the chemotherapy drug taxotere. While claims against the manufacturer of Taxotere began in 2010, they are truly heating up in 2017. Many women effectively make the case that Sanofi touted its product as superior to the alternatives despite ample evidence that Taxotere caused permanent hair loss. In response to increased pressure, Sanofi has gone public with potential side effects. This limits the available window for settlements. If you took Taxotere and have been in remission for at least six months and still do not have your hair back, you may be eligible for financial compensation. To be clear, very few doctors or healthcare professionals have been made aware of Taxotere’s new warning. The manufacturer chose to insert this critical information on the last page of an extremely lengthy label. There was no notification of any kind sent to healthcare professionals informing them of this crucial change. Picture this. You’ve been diagnosed with breast cancer. It’s terrifying, but you and your family know that you can beat this. The reality sets in that with cancer, you will likely have chemotherapy as part of your treatment, which has many difficult side effects including hair loss. A chemotherapy drug treatment derived from a synthetic compound. The drug is marketed as a more cost effective and efficient option to Taxol, but these claims are not necessarily true. Unlike Taxol, Taxotere is linked to permanent hair loss. A kind of cancer that develops from breast cells and tissue. Most breast cancer begins in the milk ducts. A malignant tumor can spread to other parts of the body. A person is considered to be a survivor of cancer from the moment she is diagnosed until the end of life. Use of drugs to destroy cancer cells. Chemo works by keeping the cancer cells from growing and dividing into more cells. Another name for Taxotere. Chemotherapy drug linked to permanent hair loss. Permanent hair loss which may affect the entire body—primarily head hair, lashes, and eyebrows. Radiation therapy is a type of cancer treatment that uses beams of intense energy to kill cancer cells. Remission means that tests, physical exams, and scans show that all signs of cancer are gone. Manufacturer of drug Taxotere that does not warn about its product’s unique correlation with permanent hair loss. A chemotherapy treatment derived from a natural compound, approved for use of cancer treatment in 1993. Our Chief Cutie Officer, Henry Banmiller, provides a behind-the-scenes look at Periscope Group. In this video, meet the team and see how we help people just like you every day. Sanofi-Aventis, the makers of Taxotere, misled patients to believe their drug was safer and more effective than its competitors. Learn more here. Many times big companies know the dangers of their products years before they tell the public. It’s time we keep them accountable! Learn more here. You were never given a chance to make an informed choice about your breast cancer treatment. As claims against Sanofi are mounting, Periscope Group can put you on a path to settlement. For over 20 years, we’ve served as a guardian for people who need to navigate an industry that doesn’t always have their best interests at heart. We provide the information, resources, and direct connection to reputable legal counsel that people need when their lives and livelihoods are at stake. Big pharmaceutical companies cannot silence the injured—not as long as we’re around.